BACKTIME: Baracking Bad Part 2: What Will 51 Bring? Yesterday the President officially became middle-aged, a fifty-something. Tonight's Breaking Bad is titled "Fifty One," for Walter White's birthday (Bryan Cranston is actually 56). Which means that even though the show is on Season 5, Episode 4, it's only been one year since the series began on Walt's 50th birthday. The President has sprouted a few gray hairs with the weight of the world on his shoulders and all, but he's got it easy compared to Walt. In one year of calendar time, Walt learned he had terminal lung cancer, became a crystal meth guru, missed the birth of his daughter, killed several people, hired the coolest shady lawyer ever, had his wife have an affair with her boss and leave him, killed his partner's junkie girlfriend, had a plane crash in his backyard, got his DEA agent brother-in-law shot, saw a man get his throat cut in front of him, bought a car wash, poisoned a kid, and blew up the biggest drug kingpin in the southwest. I'm sure I'm missing something but that's the gist of it. Season 5 opens up with a flash-forward. Walt is 52 now and his hair is back. He's obviously been on his own for some time and returns home to New Mexico to buy an assault weapon. So what happens in the next year? How could Walt break any worse? Walt has gone from sympathetic wimp, to fledgling amateur criminal to mastermind to sociopath. His character is beyond redemption, and he'll need to be taken down. Many have tried already, but have been outwitted. Tuco was a maniac. Jane was conniving and desperate. Gus was a machine. But they all had weaknesses. So who will put an end to Heisenberg? Mike? No. While he's a badass, he's not a top dog. He needs Walt more than ever. Walt's troubling idea of business still provides the money necessary to keep Mike's family, and his guys "whole." Skyler? Likely not. She may wind up shooting him in a panic, but she has invested too much guilt and too many lies in what's happened already. She thought she had a stomach for the business, but money laundering was as far as she could go. She's on the verge of a breakdown after yelling SHUT UP at her sister Marie, 14 times in a row. She's constantly at war with her conscience, a problem Walt doesn't have. Hank? Don't think so. He may be forced in a situation to put the collar on Walt, but he'll never make him the target because he just won't see him like that. He's been minutes away from cracking the elusive Heisenberg on several tries, and has continually just missed. Jesse? That's got to be it. Jesse has been too clean and straight-laced since his heroic turn in Mexico. He's been a perfect, don't-rock-the-boat partner for Walt in the newest chapter of their endeavor. The show's first junkie crook is the most likable character in the cast. You wouldn't say he knows right from wrong, but wrong from really wrong. And now that he's not using and not screwing up, what does he get for his efforts? He gets manipulated into ending a happy relationship, and a not-too-subtle threat from his partner about knowing his place. 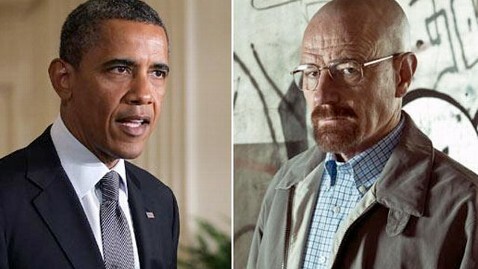 If Jesse ever finds out about Walt's role in Jane's death, or in Brock's poisoning, it's going to be World War III. He's not as steely or strong-willed as Walt, but he has Mike's trust. And unlike Walt, he has friends that are loyal. The pieces are on the chessboard. The king will eventually go down. He may not be killed, he may not be captured, but he will most certainly be forced out. And that's what will cause Walt's "sabbatical," and a return home with a machine gun for one final showdown. Which will most certainly have more drama than election night.